I will be the first to say if any dessert has “ooey” and “gooey” in the name — sign me up! Some people may be more familiar with Chess Cake, which like its gooey counterpart includes two layers – the first, a basic yellow or butter cake, and the second, the ooey gooey part. This cake is said to have been created by mistake so I guess their loss is our gain! 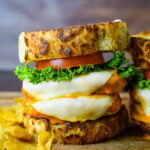 The ooey gooey layer is up next! 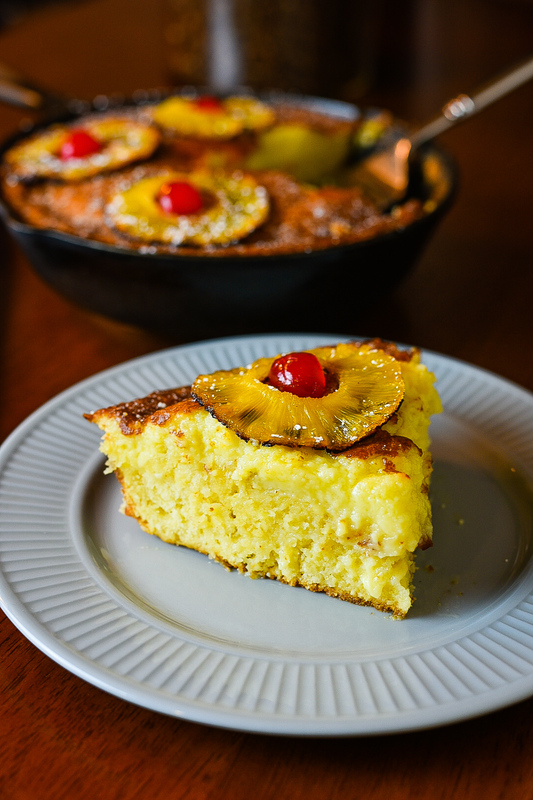 Today I bring you my version of the double-layer delicacy called the Ooey Gooey Pineapple Cake. I remember the first time I had a taste of this great dessert and I have been hooked ever since. 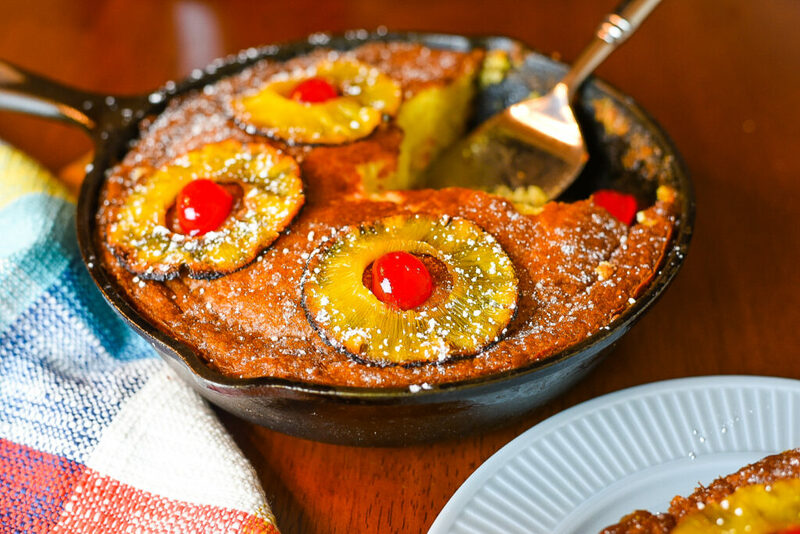 The cake is more dense on the bottom half and it just gets better with the added flavors from the pineapple juice and butter. Made with cream cheese, Creme Fraiche, powered sugar, more fresh pineapple juice, and of course more butter, the top layer adds a little something special. This cake may be on the rich side, but every taste you bite into makes the time spent making this well worth it. 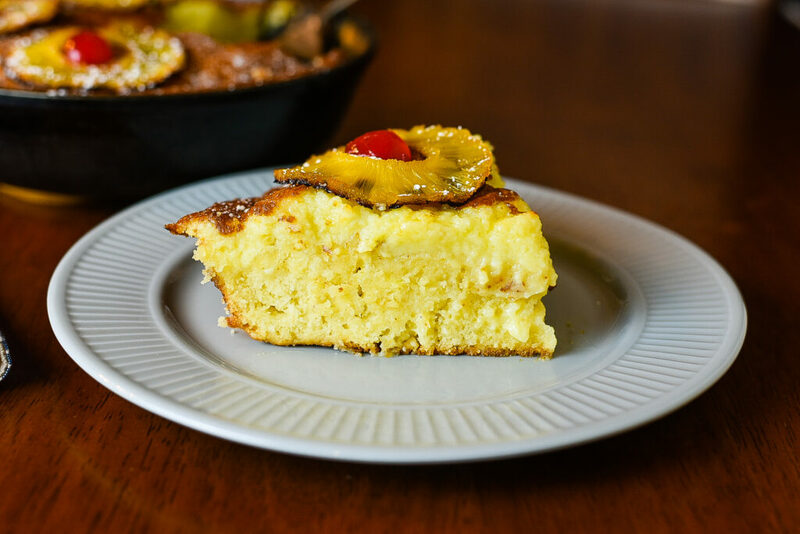 When you want to impress family and friends at the next gathering give this Ooey Gooey Pineapple Cake a try and enjoy the moment. Begin by pre-heating the oven to 350 degrees. 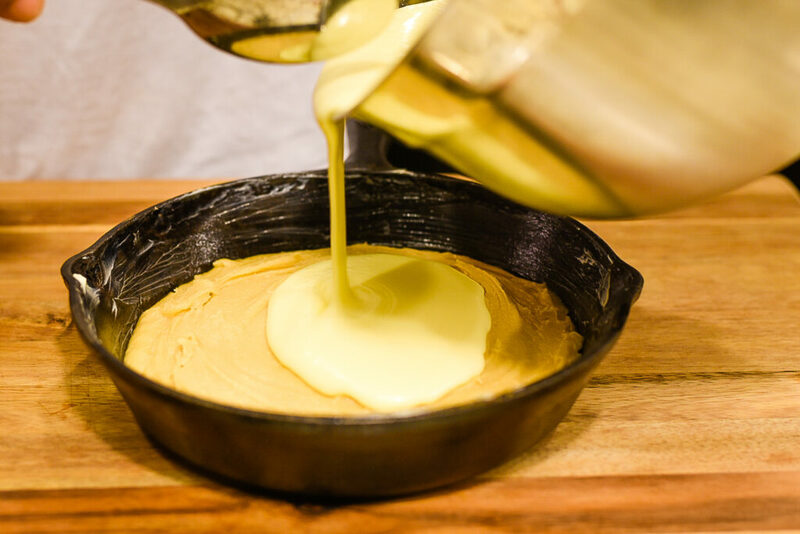 Coat the cast iron skillet with butter and set to the side. 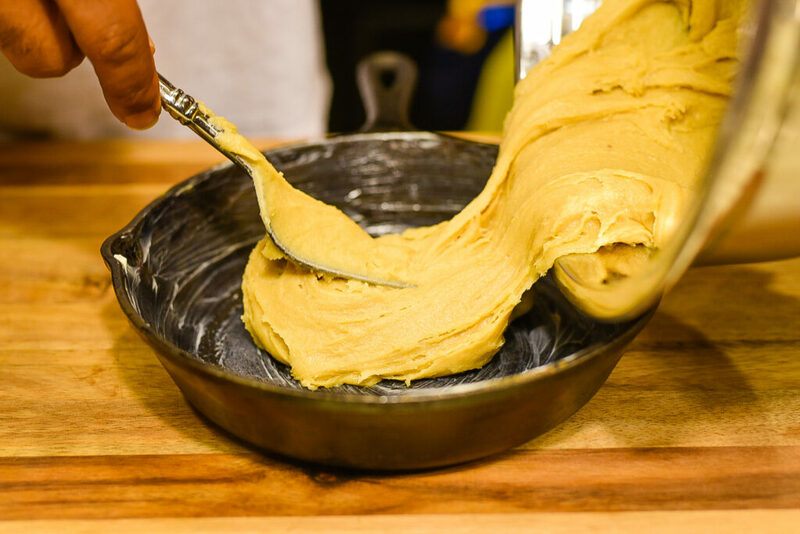 In a large bowl, add flour, baking powder, sugar, and brown sugar then slightly whisk together. Add melted butter and vanilla extract and whisk. Add slightly beaten egg and pineapple juice to bowl and whisk together until it begins to bind (to a smooth texture). Do not over whisk. Evenly spread mixture over the over of the buttered cast iron pan. In a separate large bowl, add cream cheese, Creme Fraiche, vanilla extract, almond extract, pineapple juice, melted butter. Blend with hand blender until smooth. Add each of the 3 eggs individually while continuing to blend. Add powered sugar and continue blending for 3 minutes until smooth. Evenly add cream cheese mixture over the bottom layer mixture and spread until smooth. Bake cake for 45 to 50 minutes at 350 degrees then allow to cool for 30 minutes when done. 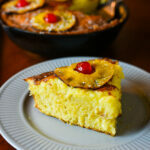 Top off with baked pineapple slices, maraschino cherries, sprinkle with powdered sugar then serve. 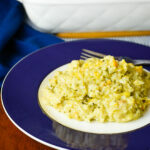 Hello Dhar, I’m using a 9-inch cast iron skillet for this recipe.